Woking Football Club | News | Halfway towards Dowse's fundraising target! Halfway towards Dowse's fundraising target! 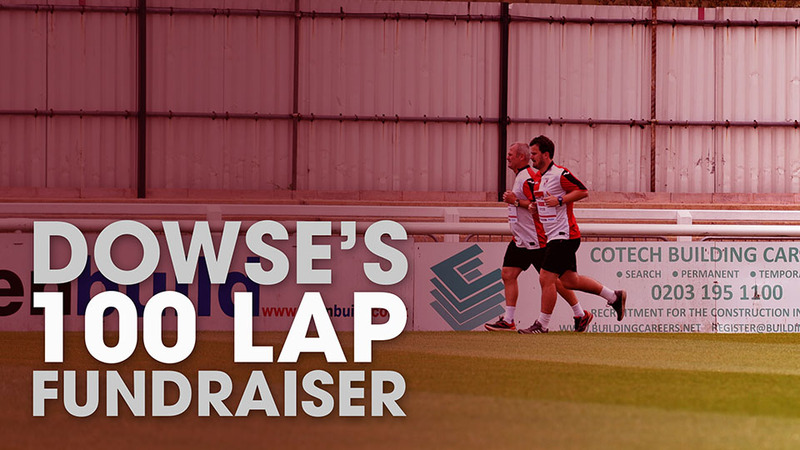 Dowse's 100 Lap fundraiser has reached 50% of its target after only a week, everyone at Woking Football Club would like to say a big thank you to everyone who has donated so far, it just shows what a fantastic fanbase we have. On Monday 5th November starting at 10am, Woking Football Club's manager, Alan "Dowse" Dowson, will be running a whopping 100 laps of the pitch at The Laithwaite Community Stadium! Dowse is running to raise money to support two of his first team squad, Christian Jolley & Kane Ferdinand. Christian has been troubled since a pre-season injury and he's trying one last procedure to get back fit to play for the Cards. Kane has been struggling with a knee injury for a few weeks now, and is in need of an operation; the quicker he can get this done the quicker he'll be back on the pitch where he has been much missed recently. In July Dowse and his assistants, Martin Tyler and Ian Dyer, ran 50 laps to help raise money for his budget, this time he's doubled the distance, working out at approximately 20.8 miles! Dowse commented: "We’ve really struggled with ongoing injuries and the Club have offered great support throughout but I really want to do that little bit myself to help Christian and Kane get moving forward as quickly as possible. The quicker we can get them back the greater our chance of doing well as the season moves on. 100 laps will be a stretch but I hope some fans will come down and my aim is to raise £3000. Every donation will make a difference and go fully to the cause."